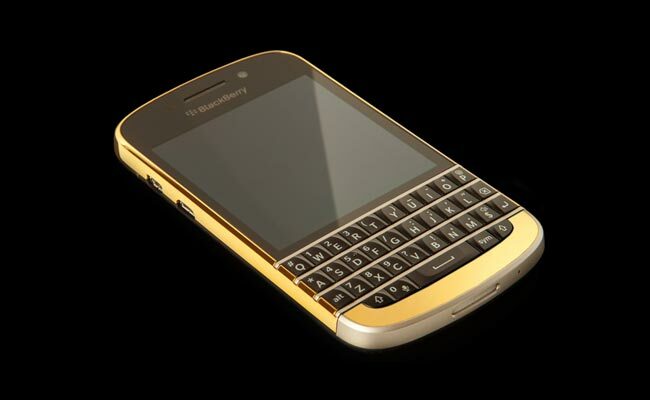 The guys over at Goldgenie have covered this BlackBerry Q10 in 24ct gold, the handset features a 24ct gold plated bezel, as well as a gold plated panel below the QWERTY keyboard on the Q10. As well as having a new gold casing, this gold BlackBerry Q10 is SIM free and it comes with all of the specifications of the standard model, which include a 3.1 inch display with a resolution of 720 x 720 pixels. This gold plated version of the BlackBerry Q10 retails for a bit more than the original handset, it will set you back £1,597, and you can find out more details over at Gold Genie.